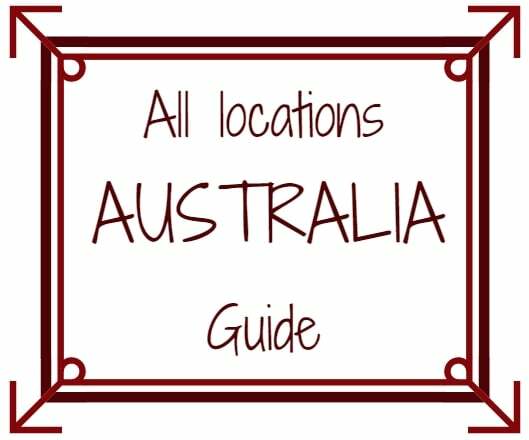 , see my travel tips to plan your time there). 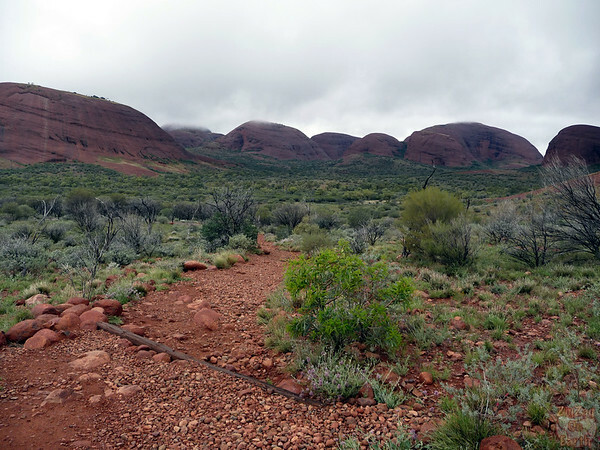 However personally, I preferred the amazing 36 domes of Kata Tjuta (also know as the Olgas). 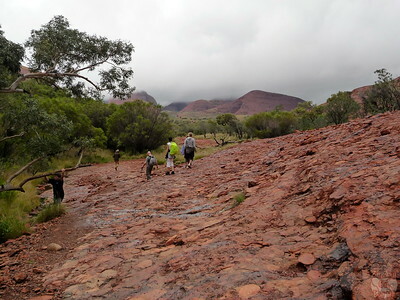 Only 2 walks allow access to some sections between the domes. The Valley of the Wind is one of them. 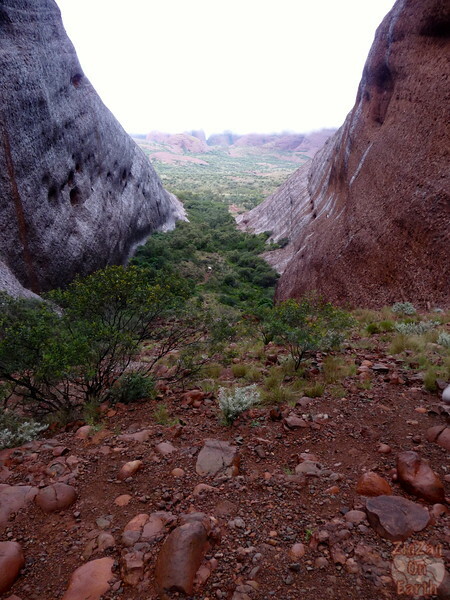 Most sections of Kata Tjuta are not open to tourists as they play a special role in the aboriginal culture. 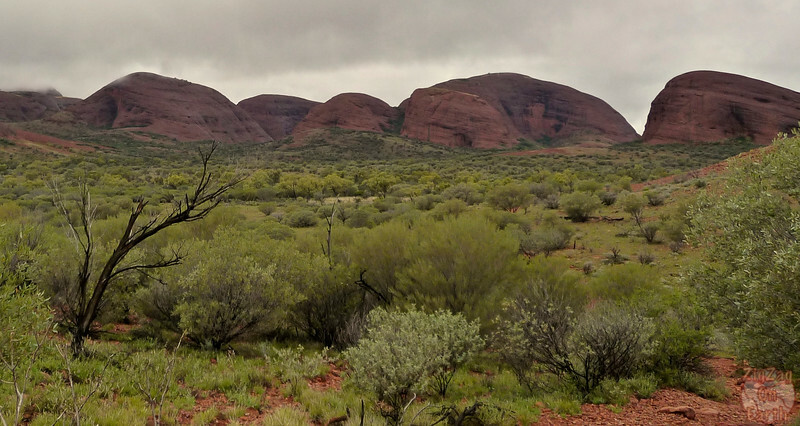 Kata Tjuta means ‘many heads’ in the local language. 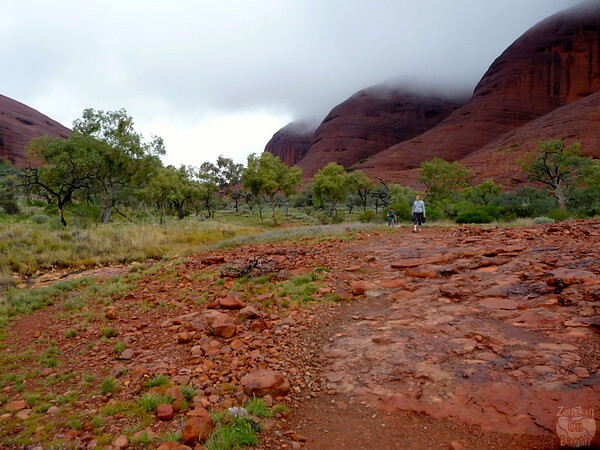 Fitness: how difficult is the Vally of the wind walk? I believe, like for my hikes in Petra, a lot of you are wondering if you will be fit enough to be able to complete this 3 hour Valley of the wind walk. Go counter-clockwise (left-round). My personal opinion is that the second lookout was not the most amazing part of the walk. What I enjoyed the most was the trail in the vast area after (if you go clockwise). So if you start going left you will enjoy this area first and you can decide not to climb to the second lookout and just return to the first one. I actually completed this Valley of the wind walk with clouds and rain. And even in those conditions, the scenery was surprising at every corner and you could only feel very small in front of those giants. I think I was quite lucky and that it was a great way to see the place. The clouds gave the landscape an even more mystical aura. The only downfall was that I did not dare to take out my DSLR (it was brand new at the time), so I do not have many pictures to share. The 3 following travel bloggers are sharing their experience of walking the Valley of the wind. This way you will see what it looks like when it is sunny! I definitively recommend walking the Valley of the Wind Trail. 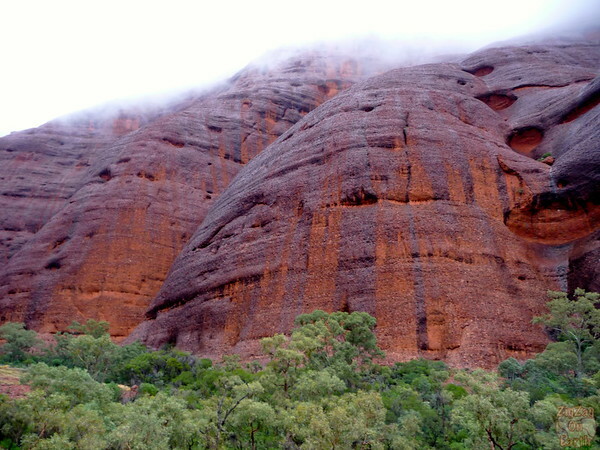 This is so different from Uluru, you will not regret it. Have you ever felt a place was even better in the clouds? Hi Claire, thanks so much for featuring me in your blog post! 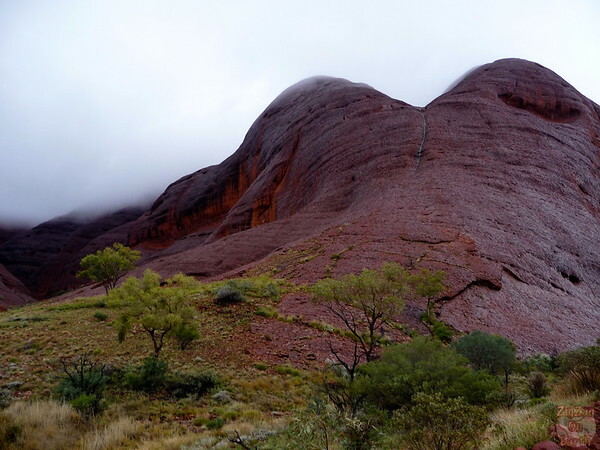 I agree with you, I think that the Valley of the Wind walk also beats the Uluru walk, despite how impressive Uluru is up close. Just took a gander through a few more of your posts too, your photography is incredible! I look forward to seeing more from your travels 🙂 all the best for 2014! Thanks for your comment and kind words. I see that Canada is on your list for 2014, I am looking forward to seeing your posts about it. 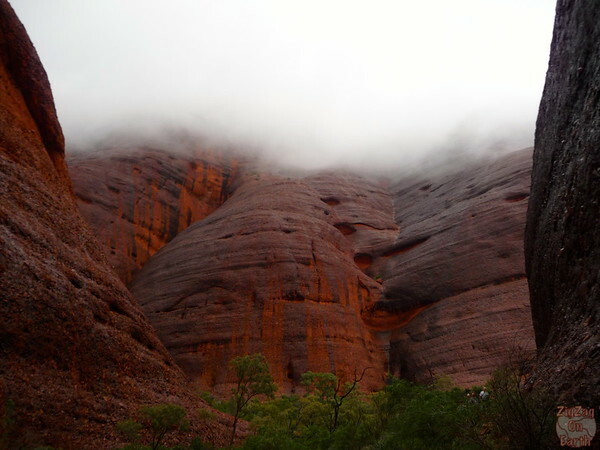 The Valley of the Winds Walk is so stunning – Highly recommend it! 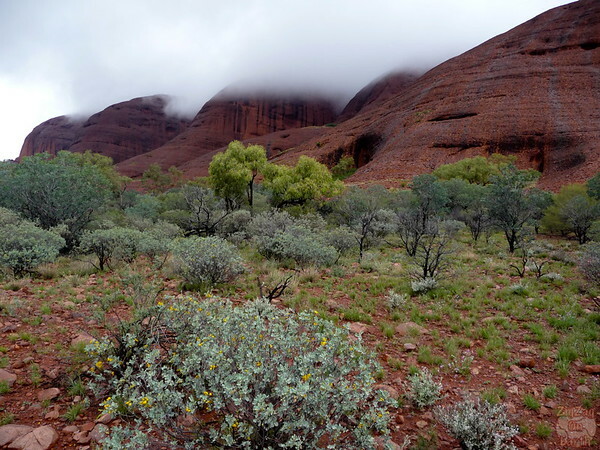 A visit to the Red Centre really is quite special!